After receiving a degree in Theater, Film and Television Studies, Ute Biernat started her career as a journalist and documentary film producer. 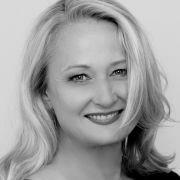 In 1992 she moved to New Zealand as a freelance television producer for TV3 and other local stations. Biernat then moved to Australia where she became a producer for various entertainment formats (including SBS) before continuing her career in USA with CNN, CBS and ABC. In 1994 Ute Biernat returned to Germany as a broadcast production consultant. In 1996 she joined Grundy TV as Executive Producer. Two years later she became the Senior Executive Producer at Pearson Television Deutschland. In May 2000 Ute Biernat became CEO of GRUNDY Light Entertainment (formerly Pearson Television Deutschland) and in addition to her function she took over the management of UFA Entertainment in June 2010. With the rebranding of UFA in 2013, GRUNDY Light Entertainment was renamed as UFA SHOW GmbH and UFA Entertainment became UFA FACTUAL GmbH. Under Ute Biernat’s leadership both companies merged into UFA SHOW & FACTUAL GmbH at the beginning of 2015.